Joëlle Long, Phd, is Assistant Professor at the Department of Law of the University of Torino, where she teaches Family Law, Children’s Right and Vulnerable Adults’ Law and coordinates the Family Law and Children's Rights Clinic. Her main field of research is the impact of International Law and European Union Law on domestic family law, with a strong focus on the United Nations Convention on the Rights of the Child and the European Convention on Human Rights. 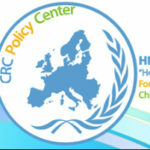 As part of her research, she was involved as a national expert on the human rights-based approach to Family Law and Children’s Rights in the European Program for Human Rights Education for Legal Professionals of the Council of Europe and coordinated a study on vulnerable adults’ protection commissioned by the European Parliament's European Added Value Unit. She is also interested in multiculturalism and the law and in gender studies. 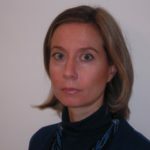 She co-edits the journal Minorigiustizia, sponsored by the Italian Juvenile and Family Judges Association. She is the author of 2 books and over 60 publications and she regularly participates in national and international conferences and projects mainly in the field of International and European Family Law and Children’s Rights.